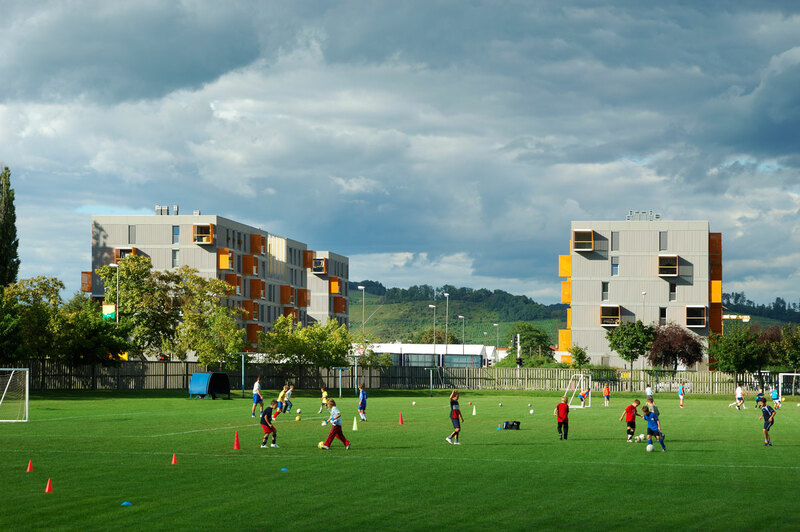 The housing complex Poljane in the vicinity of a transport node at the outskirts of Maribor consists of four housing blocks with a total of 130 social housings. 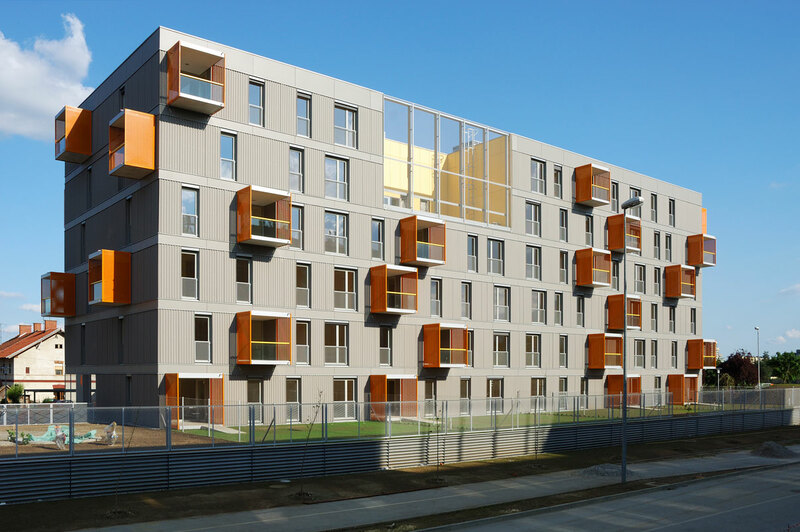 Pairs of housing blocks from the complex are identical in terms of construction and architectonics. The buildings have a basement and six floors. The basements will serve as storage rooms and parking lots. The storeys above the ground including the ground floor are housing storeys. 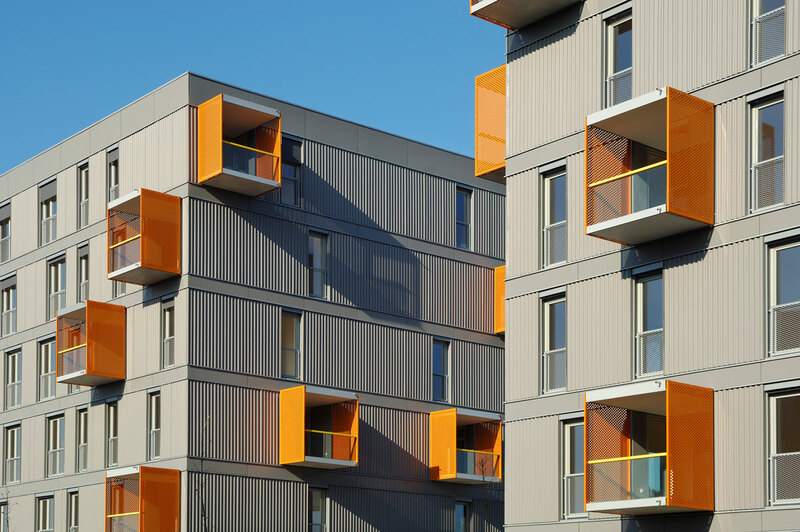 The project is bound by the existing strict urban plan of the area and the missing outdoor public places are replaced by common areas within the buildings. Huge empty places – public “rooms” in the buildings are dedicated to public programmes. These places are designed either as covered leisure places or as opened roof gardens. Both the vertical and the horizontal construction of the building is from reinforced concrete. 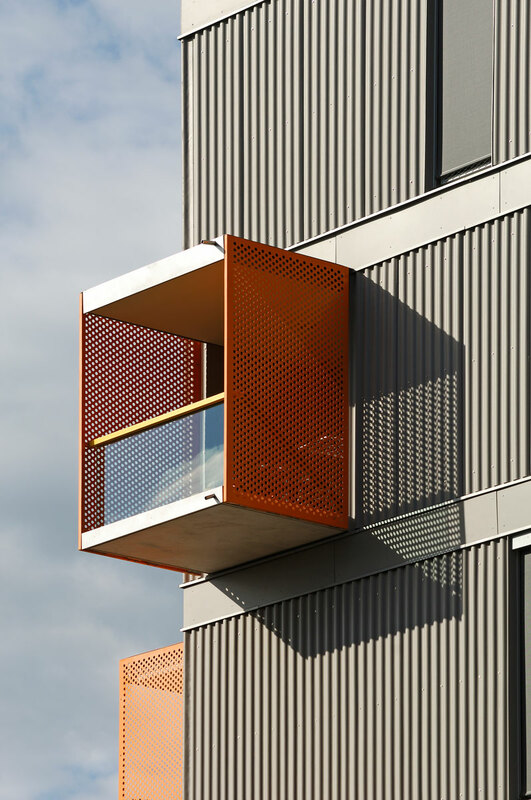 The balconies are prefabricated. Earthquake stability of the building is provided for by vertical continuous carrying walls and stiff reinforced-concrete slabs. The building is founded on strip foundations.